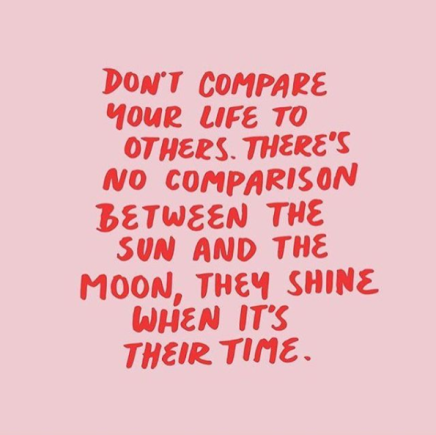 Don't compare your life to others! Most people seem to think that the most confident people are ‘beautiful’ people or ‘successful’ people but usually this is not the case. Confident people are people who have the ability to stand in their own personal power and believe in themselves. They are people who are sound and content with who they are & often are not bothered about others opinions of them. One thing that most people don’t realise is that, everyone is insecure about something. And while you are sitting there thinking about how someone is judging you, they’re probably thinking the same thing about how you must be judging them, about something. Once you release the idea that you need other peoples approval and come to understand that self acceptance and self contentment are king, confidence will naturally follow. Self contentment breeds confidence. I am a fashion business owner, based in Melbourne, Australia. I have a real passion for creative expression as well as leading a mindful life which is orientated towards personal growth and wellness.